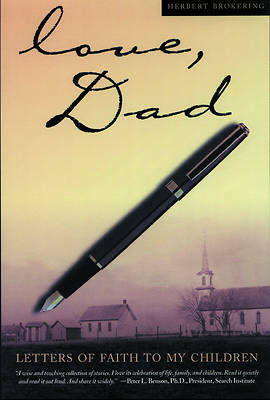 Here is a marvelous collection: memories, family nostalgia, spiritual wisdom, and an abiding sense of God's presence. In his wonderfully poetic voice, Herbert Brokering bequeaths his children -- and all children and parents -- a rich legacy of faith. Each letter offers fresh understandings about God and faith, plus advice on finding and living full lives.